Formation of a clear image is achieved through three important processes: light refraction, accommodation and pupil diameter. 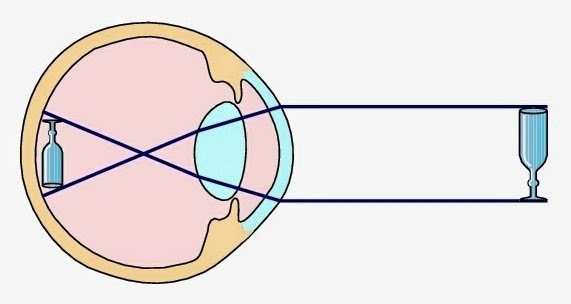 Figure 1: Image formation in the eye. Light refraction at the air-cornea interface is greater than refraction at the aqueous humour-lens inferface. Source: Sjaastad OV, Sand O, Hove K. 2010. Physiology of domestic animals. 2nd ed. Oslo: Scandinavian Veterinary Press. Lens changes shape and increase refractive power to focus objects at different distances on the retina. Figure 2: Accomodation. 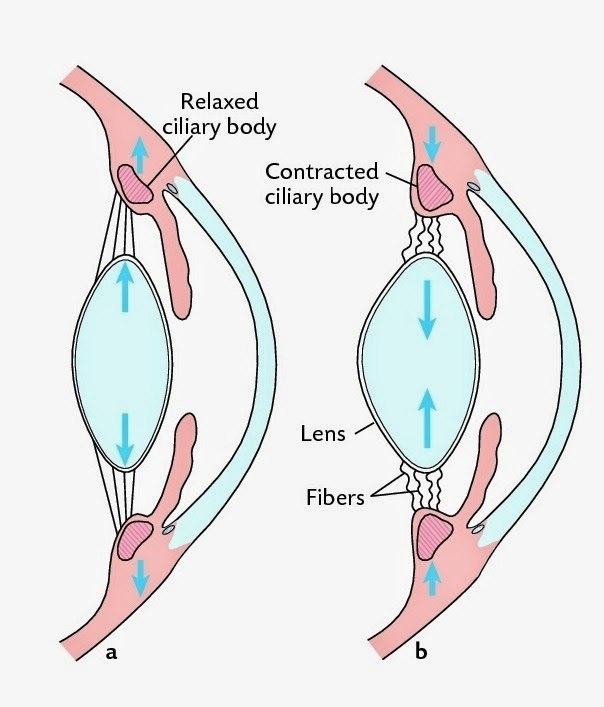 a: Ciliary body is relaxed when viewing distant objects. Zonular fibres are taut and lens is flattened. b: Ciliary body is contracted when viewing nearby objects. Zonular fibres are relaxed and lens is more spherical. Image 3: Variation in diameter of pupil depending on light intensity. Radial muscle fibres contract in dim light while circular muscle fibres contract in strong light.